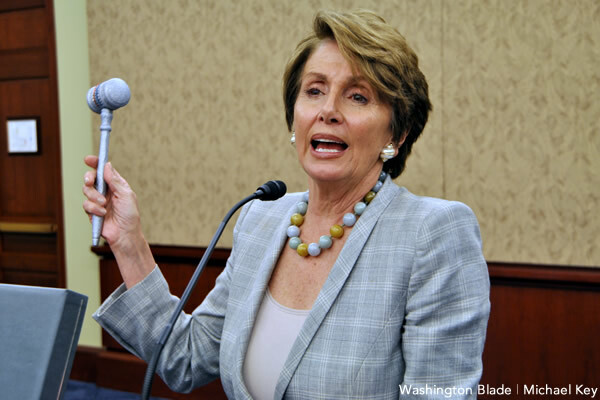 Metro TeenAIDS on Thursday honored House Minority Leader Nancy Pelosi (D-Calif.) for her efforts to combat HIV/AIDS. The HIV/AIDS service organization presented the California Democrat with the inaugural Pelosi Leadership Award during its 19th annual auction at the Italian Embassy in Northwest D.C. Metro TeenAIDS also presented Pelosi with a crystal gavel to commemorate her 25th anniversary in Congress. Pelosi referenced in her speech an earlier interview during which she said the only thing that has surprised her since she arrived on Capitol Hill in 1987 is that the epidemic has not ended. Pelosi’s 13-year-old granddaughter Madeleine was among the estimated 450 people who attended the event.